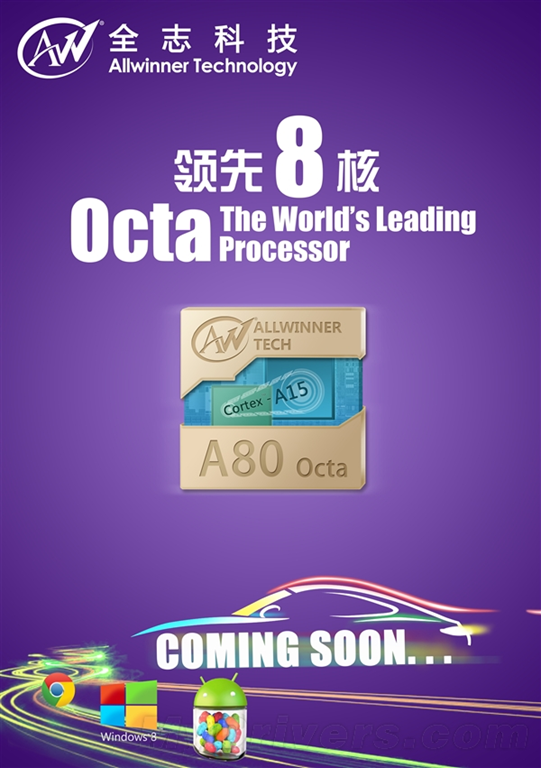 Allwinner announced that their upcoming Allwinner A80 Octa-core SoC with four ARM Cortex-A15 cores and four ARM Cortex-A7 cores configured in a big.LITTLE HMP (when all cores could work simultaneously) configuration is to be released in a number of customer products in Q1 2014. Look for introduction of customer products at the CES 2013. The A80 SoC may come with Windows 8/RT or Windows 9 tablets and laptops as well, depending on Microsoft. Laptops will also come with the Chrome OS. The A80-related information is in the [0:23-2:05] and [3:16-4:02] parts of the below video. Published by Charbax on Oct 13, 2013. Recorded on Oct 12, 2013. Filmed by him at China Sourcing Fair (October 12-15, 2013) in Hong Kong. Note that he wrongly reports that A70 is a quad-core (while it is an octa-core) and he does not mention A60 wich is the future quad-core. See the Chinese media reports below. 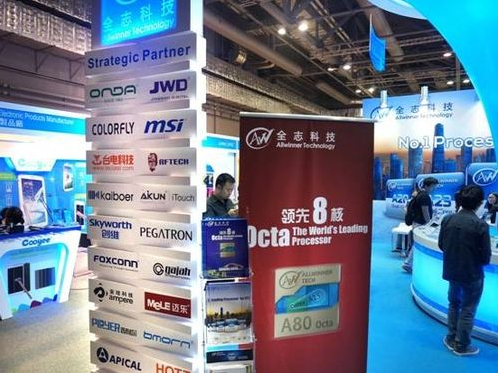 Another report 全志展示其升级路线，四核A6X、WX与八核A8X、A7X、A9X (Allwinner shows its upgrade route of quad-core A6X, WX and octa-core A8X, A7X, and A9X) [1Pad.cn, Oct 10, 2013] also confirms the above information, particularly the fact that A6X and WX are quadcores, while A8X, A7X and A9X are all octa-cores. SANTA CLARA, Calif. — Allwinner Technology is raising the ante in its quest for the mobile jackpot. The Chinese SoC developer is planning an IPO on the Shenzhen stock exchange as it prepares its first eight-core product for a variety of systems, including entry-level notebooks. It’s not clear when the public offering will be ready, how much Allwinner might raise, or how it would spend the money. 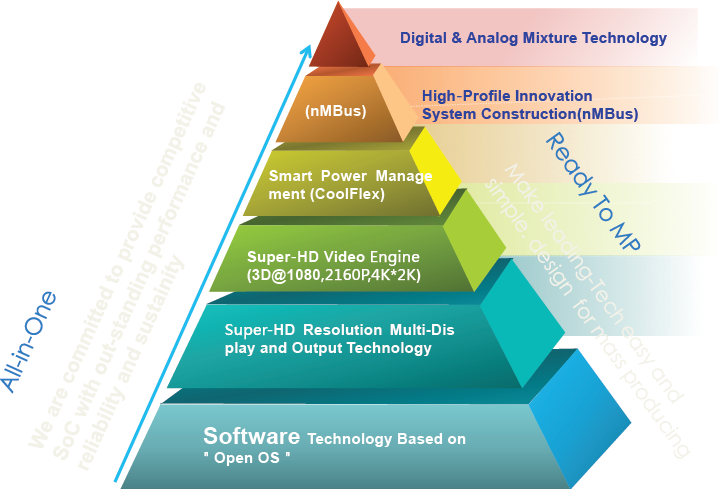 However, the chip designer has released an aggressive roadmap for now through 2015 that includes everything from high-end 64-bit chips to low-end SoCs for wearables. 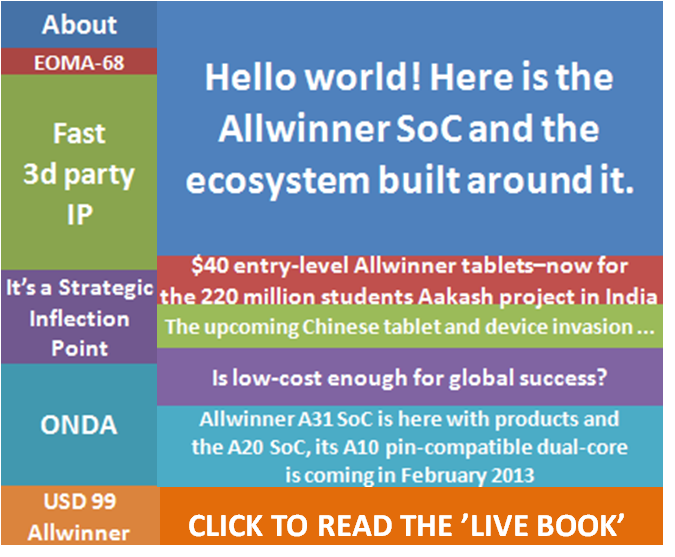 Allwinner made a name for itself grabbing marketshare with single-core ARM-based SoCs used in a flood of low-cost tablets from second- and third-tier OEMs, mainly in China. Now it’s setting its sights on a significantly broader set of targets. “Notebooks is one area we intend to invest more time into,” Ben El-Baz, international marketing director for Allwinner, said during a recent presentation for US press and analysts. Top-tier OEMs are interested in low-cost clamshell designs using a mix of Android, Chrome OS, and Windows RT. The products will probably use Allwinner’s A8x series of 28nm chips shipping early next year with four ARM Cortex-A15 and four A7 processors in a big.little arrangement, running at up to 2 GHz. The company plans to follow up before July with a quad-core variant. A separate product called the WX for wearables is still in the planning phase but is scheduled to ship late next year. 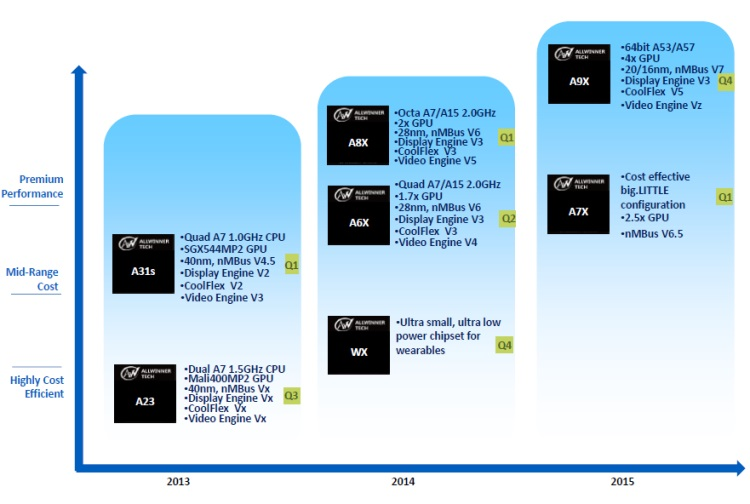 In 2015, Allwinner plans to deliver its first 64-bit mobile SoCs using ARM’s A53 and A57 cores. It is targeting twice the graphics performance of the A8x series and will use a 20 or 16nm process. El-Baz said Allwinner’s success is due in part to its proximity to Shenzhen. The supply chain there can crank out a complete design, including a new printed circuit board, within two weeks after specs for an SoC are frozen. The Zhuhai company is also China’s only mobile SoC maker with its own power management IC. Its single-core Cortex-A8 and dual-core A7 SoCs power low-cost tablets sold by discount retailers in the US, including Best Buy and Kmart. 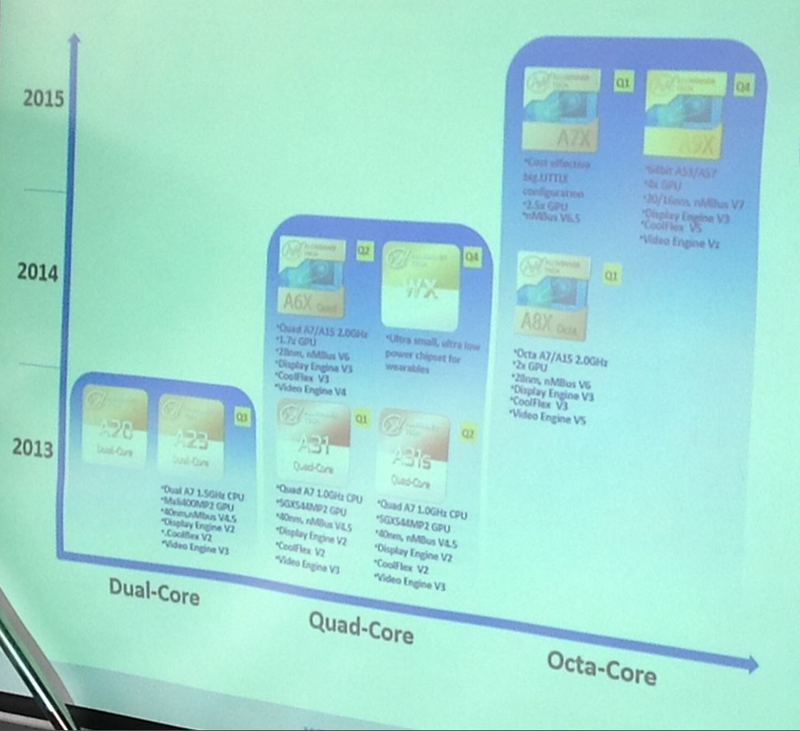 Its current quad-core A7 SoCs are winning its first sockets in tier-one OEMs about to be announced, he said. “While Mediatek comes from smartphones and is moving into tablets, we come from media tablets,” El-Baz said of his company’s closest competitor in China.